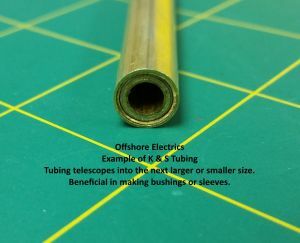 We stock the popular sizes of K & S Brass Tubing used for Rc Boating. 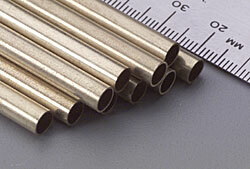 Sold in 12" (approx 305mm) lengths. 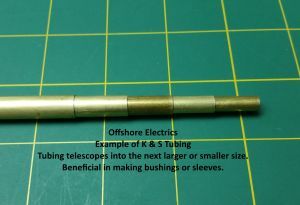 Sizes are listed in outside diameter (od). pn#8128 5/32" brass for .098 Flex Cable. pn#8129 3/16" brass for .130 Flex Cable. pn#8130 7/32" brass for .150 Flex Cable. pn#8131 1/4" brass for .187 Flex Cable.